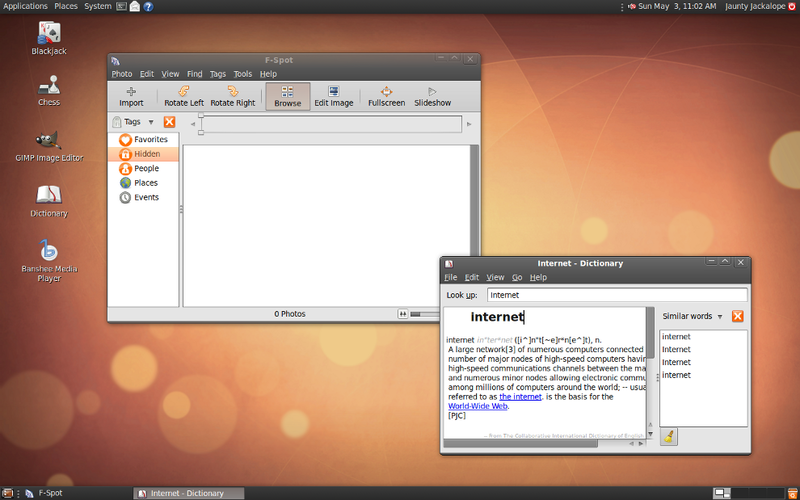 Ubuntu is one of the world’s most popular open source operating systems. Ubuntu is a Linux-based operating system that is community developed, updated regularly and offered for free. Designed to be user friendly, the Ubuntu OS comes with built-in software for office productivity (i.e., word processor, spreadsheets and presentation applications), e-mail, calendar, chat, web browsing, photos, and more. Ubuntu has a fast and easy graphical installer right on the Desktop CD. On a typical computer the installation should take you less than 25 minutes. You'll be able to find help using the desktop browser or online. If you have a question about using Ubuntu, you can bet someone else has already asked it. Our community has developed a range of documentation that may contain the answer to your question, or give you ideas about where to look.